Bostrichidae Beetles also known as” False powderpost beetles” can to infest rough cut lumber where strips of bark have been left intact. 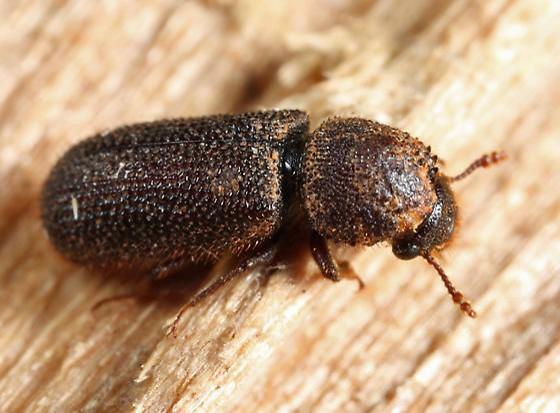 Habits: Adult female false powderpost beetles burrow into the wood where they deposit their eggs. Habitat: False powderpost beetles attack both hardwoods (preferred) and softwoods that have a high moisture content (i.e., newly cut wood). These beetles also infest pithy plants used in dried floral arrangements such as grapevine wreaths. Also attack wicker. Can re-infest, but not wood that has seasoned and dried considerably (to less than 10% moisture) since the initial infestation.